I was wearing a mask and a strapless black tuxedo dress and high heels. A man in a long nosed Venetian mask was playing the violin in a way I could watch and hear all night long. As I sat down at the table, placing my napkin in my lap, ready to hear all about Juvenile Diabetes, the thrilling dance scene from the masquerade ball in The Phantom of the Opera came on. It was beautiful and I was reminded that the movie lay on a shelf in my house, unseen, because I wanted to read the book first, which sat on another shelf in my house. When the night was over, having taken off my mask, trading my black dress for some pajamas, I climbed into bed with the book in hand and began. Three days later I finished it and rewarded myself with the movie. This has been my most disappointing book in a long time, and for a classic too! 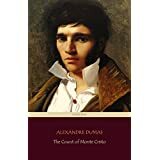 It was released to American readers as a serial, much like The Count of Monte Cristo, which I had loved. 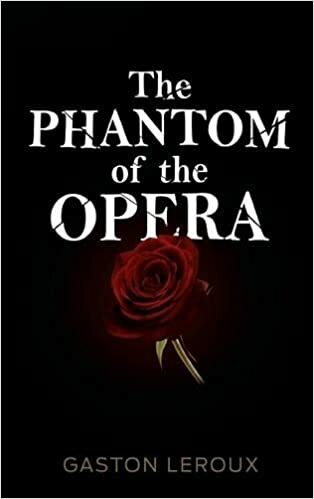 It was a page turner- I wanted the riddle of the Opera Ghost to be solved, but much of my desire was based on the high expectation I have for classics that have withstood the test of time. I expected the ending to make it all worth it. But for me, and this may not be true for you, I have to resonate with at least one character. I have to be able to see the world as they do, to feel it as they do, to understand them as they understand themselves. I couldn’t do this with any character in the book. I didn’t understand the fascination Christine had for the OG, and was baffled by her behavior and Raoul’s continued dedication to her. In the end we finally glimpse the OG, know him as a real man, hear some of his story. There was a line after which I paused and for the first time felt something for the character. It was a singular event, not making the reading of three hundred pages worth it for one line’s worth of reflection. Rewarding myself with the movie was like taking a steaming hot shower after going running on a summer afternoon in Texas. If you thought the book was bad…..see the movie. Or better yet skip them both: put on a mask, some high heels and a fancy dress, and dance the city down! I love C.S. Lewis. I am reading through the Chronicles of Narnia with my oldest daughter right now (we are on Prince Caspian) and I can’t get over how affecting his writing is to me: intellectually, spiritually, emotionally….I am moved. So as we are reading through Narnia together, I thought I could enjoy a little Lewis fiction all by myself and grabbed this trilogy. It was different than I expected in a number of ways, both for good and ill. In all three of these books, Lewis made me experience what the character, usually Ransom, experiences. This was both a pleasure and a pain. It usually meant that things would drag on much longer than I wanted them to, getting a shadow of what the character himself was feeling. So that as Ransom grew weary, I did too. As he lost hope, so did I; as he struggled with bewilderment, I felt the same. Oh but then! When rescue and victory and rest finally came, I was rewarded with him! It takes time to write that way and to read that way. And for all the fatigue of the journey, I was grateful for it. 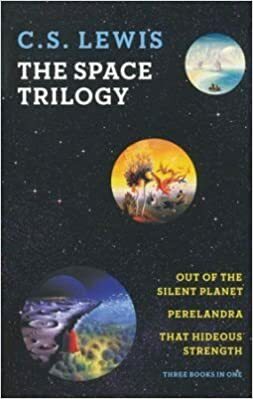 The first two books take place on different planets (Mars and Venus, respectively.) I grew attached to Ransom and the various creatures that he built relationships with on those planets. Their worlds were beautiful to me, as they were beautiful. I cherished their ways of life and was challenged (in my soul) by the struggle they faced. As I entered the third book, I was hungry for all things to be made right. And here my aversion kicked in. Maybe I anticipated an ending like The Last Battle, where final justice is perfectly metered and all is forever finished. Maybe it was the abrupt change in characters (Ransom took a minor role) or location (Earth). Maybe it was that I was hooked into the big picture that had been created and struggled to see how all of what was happening had anything to do with it. All three of the books took me by surprise a number of times, suddenly heading in a direction I had not foreseen. This was delightful until the third book. It was not all loss- there were ideas in the third book that I enjoyed working through. But the pleasure of the journey was not there. It ended in disappointment for having such a beautiful beginning. I am grateful for C.S. Lewis and especially for the way in which he never wasted his writing. He used his imagination, his style, his time and place, to unite in words that spoke to belief and truth and beauty. It moves me, every time. This book has been on my shelf for eight years. Feeling a craving for some adventure, I pulled it down anxiously. It’s always strange to meet an original after having experienced an imitation. In this case, reading the book after having seen the movie. You go into it with characters already sketched in your mind; presuppositions are full to overflowing. So I was shocked to find that the story is quite different than what I had thought. Several central characters were completely unknown to me, not having made any appearance in the movie. In fact, a majority of the book was entirely new and unexpected. What a treat! Even of the characters that I knew, or thought I knew, not one of them went the path of the movie. Not one was portrayed exactly. This led to quite a few surprises. Tell the angel who is going to watch over you, Morrel, to pray for a man who, like Satan, believed for one moment he was the equal of God, but who now acknowledges in all Christian humility that in God alone is supreme power and infinite wisdom. Her prayers will perhaps soothe the remorse in the depths of his heart. And yet….not all is loss and sorrow. The resounding cry of the book is one of expectation: Wait and hope! These books are so good. The months leading up to Christmas were hard months. They were heavy. In fact, 2016 brought a lot of trial to my family. I was flying home early in December from a trip that was heartbreaking, and I was emotionally spent, though at a point of stepping into the light at the end of the tunnel. The Kitchen House sat on my lap. I had intended to begin it on my flight home, as I rarely find myself with hours of quiet solitude. But as I read the first two pages I had to put it down. Rawness my heavy heart couldn’t handle. I wasn’t capable of going where the story was leading me. I came home, began adjusting to a renewed normal, and pulled this book out again. I’m so glad I did. Being about slavery at the start of the 1800s it is no light read. Things happen, as they did, that made my stomach turn. I could feel the burn of hatred, the despair of being trapped, the panic and anxiety, the unwavering hope and calm resolve to endure. 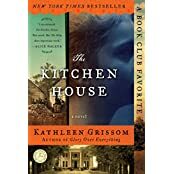 The first book follows Lavinia, a small Irish girl whose parents die on her journey to America, where she then finds herself as a slave on a cotton farm. The African slaves become her family. She belongs and she doesn’t, because her skin takes her where they can’t go, to Philadelphia. 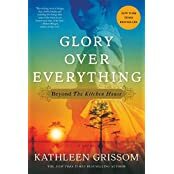 The second book, Glory Over Everything, picks up the story of one of the characters from the first book twenty years later. I was drawn by the story, a love for the characters, and couldn’t get to the end fast enough. When it was over, I had to spend some time working through the things I read, because I so desperately want to see the world in black and white, people in black and white, all good or all bad, and it’s simply not possible.